Rainbow Vistas at Rock Garden in Hi-Tech City, Hyderabad by Cybercity Builders and Ashoka Developers is a residential project. Gold rated as per the IGBC green building norms. Boasts 7 acres of central park. The size of the Apartment ranges in between 1250.0 sq.ft. and 2795.0 sq.ft. Rainbow Vistas at Rock Garden price ranges from 76.00 Lacs to 1.62 Cr. Rainbow Vistas at Rock Garden offers facilities such as Gymnasium and Lift. It also has amenities like Basketball court, Jogging track, Lawn tennis court and Swimming pool. It also offers services like Banquet hall, Car wash area, Grocery shop and Library. Bank loan approved from HDFC home loans, ICICI, State Bank of India, State Bank Of Hyderabad, Kotak Mahindra Bank, AXIS Bank LTD. and LIC Housing Finance Ltd. The project is spread over a total area of 22 acres of land. It has 78% of open space. Rainbow Vistas at Rock Garden has a total of 17 towers. The construction is of 19 floors. An accommodation of 2948 units has been provided. Rainbow Vistas at Rock Garden brochure is also available for easy reference. What is the project location?The project is located at Hi-Tech City, Hyderabad. What is available flat size in Rainbow Vistas at Rock Garden? Flat sizes in the project range from 1250.0 sqft to 2795.0 sqft. What is the area of 2 bhk in Rainbow Vistas at Rock Garden? The size of a 2BHK unit in the project is 1250.0 sqft. What is the area of 3 bhk in Rainbow Vistas at Rock Garden? 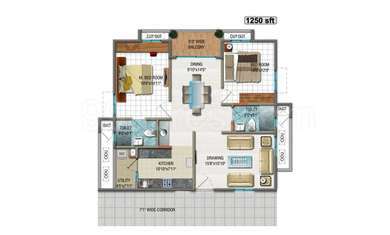 Three-room units (3BHK) in the project are available in an area of 1580.0 sqft to 2795.0 sqft. What is total size of Rainbow Vistas at Rock Garden?The project is built over an area of 22.0 Acres. 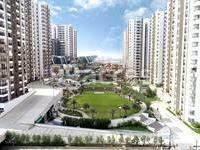 How much is price of 2bhk in Rainbow Vistas at Rock Garden? 2 BHK units in the project are priced at Rs. 7600000 to Rs. 9500000. Hi! 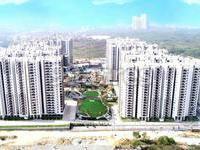 I would like to know at what price is Rainbow Vistas by Cybercity Builders is CURRENTLY offering a 2bhk and a 3bhk? Its been three weeks here and it has been full of problems. 1. They dont have effective drainage system, water leaks from drainage pipes in basements and gets accumulated. 2. Trash is not collected properly, so basement stinks badly. There are stray dogs coming from backyard which is open because of ongoing construction work. 3. Huge noise problem because of ongoing construction and they continue this nonsense at night as well as on weekends. 4. Facility management is given to some JLL which is pathetic in terms of service. 5. The plumbing and electrical work done is below average, drainage pipes and sink leak and we have to get it fixed on our own expense. 6. Gas pipeline work is yet to be completed and I doubt they would finish anything on time. 7. Most frustrating thing is they didnt have any back up plan when there was a power failure and its been one whole day without electricity. All the food is spoiled and they dont have any timeline when they will be able to fix the issue. Guys, please think multiple times before investing your hard earned money here. Dear Jatin, Hi-Tech City is a residential development by Cybercity Builders in Hyderabad. Spacious, well designed 2 and 3 BHK apartments are being offered here. Size and price of the these apartments are as follow: 2 BHK Apartment, super built-up area: 1250 sq ft, New booking price: Rs. 56.9 lakh, Resale price: Rs. 51.9 lakh 3 BHK Apartment, super built-up area: 1580 sq ft, New booking price: Rs. 71.9 lakh, Resale price: Rs. 68-88 lakh 3 BHK Apartment, super built-up area: 1865 sq ft, New booking price: Rs. 84.9 lakh, Resale price: Rs. 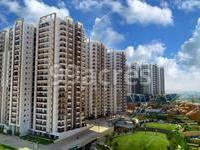 80 lakh 3 BHK Apartment, super built-up area: 2160 sq ft, New booking price: Rs. 98.28 lakh, Resale price: Rs. 93 lakh-1.03 Crore Some of the towers are ready to move in while others are construction. You can purchase the one which suit your needs.